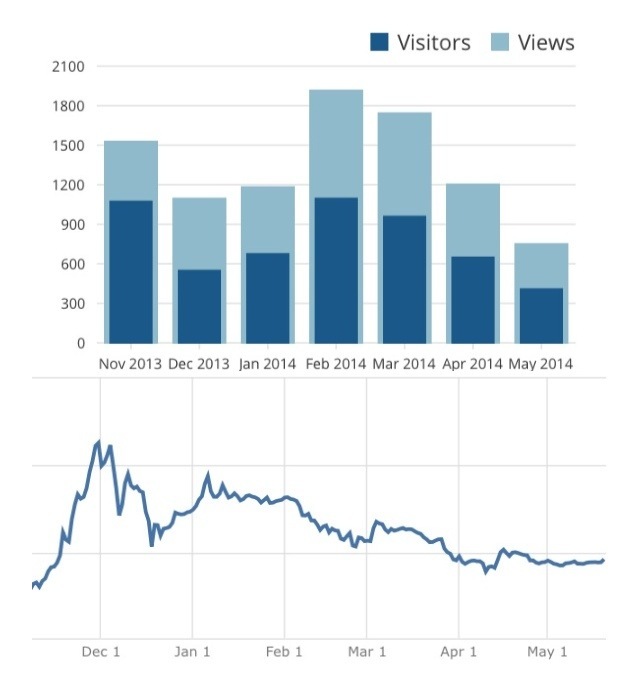 The bar chart is monthly views and visitors on my blog. 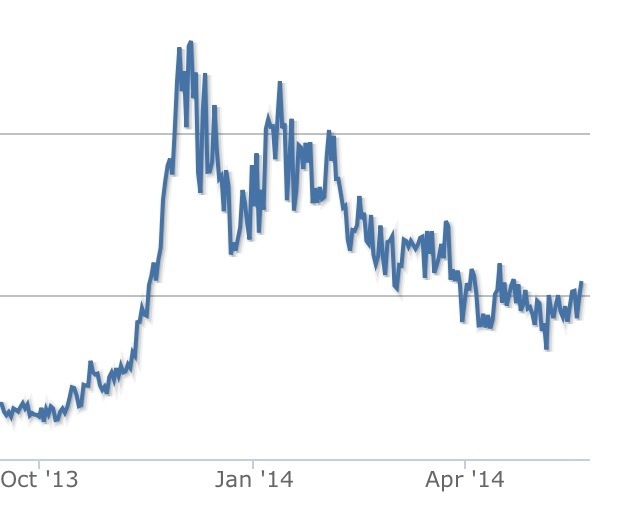 The line chart is the price of Bitcoin from Coinbase.com. Positive and negative news affects user interest, engagement, and ultimately the price. Mining revenue also follows price. What are the main drivers of the Bitcoin price?